Disclosure: Parts of my visit to Independence, Missouri were sponsored, however, all thoughts and opinions are my own. "Mom, please don't take me to jail and if I must go, will you buy me ice cream after leave?" 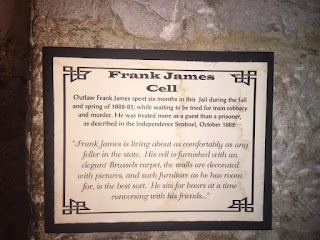 It was a tough bargain to get Lesse and D-man to tour the 1859 Jail & Marshal's Home in Independence, Missouri - the one that once housed the famous robber Frank James. 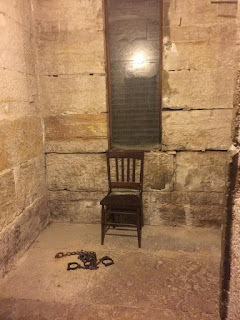 I did manage to convince them that even though the locals swear the jail is haunted; no ghost would mess with us. As you can see, I was much more excited than them - in fact the little chickens wouldn't even pose for a jail cell photo! 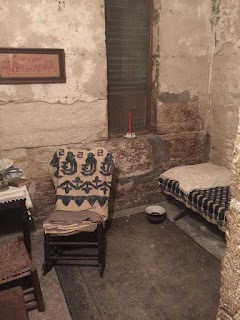 In 1859 (and all those years around that), it was not uncommon for the Marshal's house to be connected to the jail - this was quite disturbing for Lesse and D, they cannot imagine sleeping near bad guys! Children's bedrooms - right next door to the top floor of the jail. 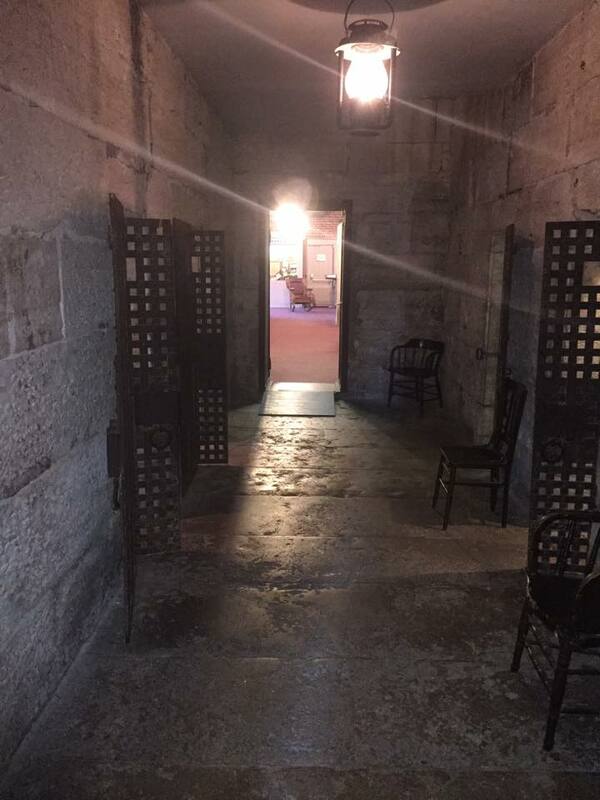 On the lower level of the jail you can see what a jail cell would look like in 1859. 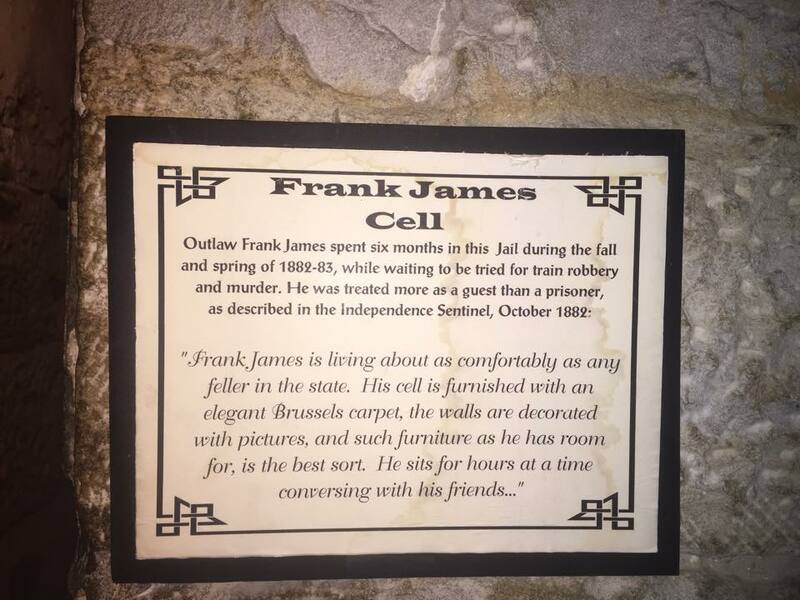 Roomy if you ask me, I mean there is so much extra space that you don't even need a bed - unless of course you were the famous robber Frank James - and well he had an upscale stay at the Independence Jail. 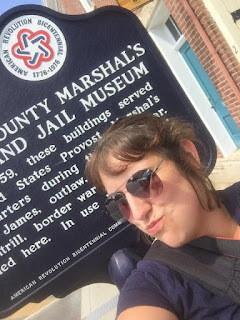 Outside of the jail cells you can visit their small museum that shares information on famous prisoner's, life during that error, and the history of Independence, Missouri. The kid's survived our visit, even though they are still spooked by the jail, I on the other hand want to go again - I get a weird excitement about visiting creepy old places like this! Becky - is it okay if I post these in my independence square collection online?